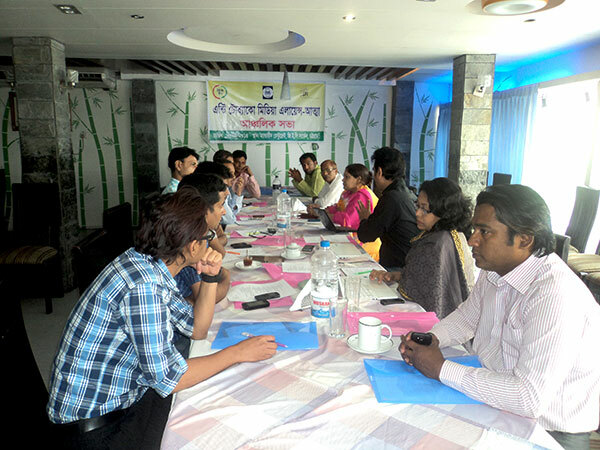 Media personnel from different print and electric media of Chittagong division urged to create social movement for banning tobacco advertisement and controlling tobacco farming around the country in a meeting organized by Anti Tobacco Media Alliance (ATMA) with the support of YPSA. Journalist Mr. Shahriar, Mr. Saiful Alam, Alagir Shabuj, Mr. Ahsan Kabir Riton, Ms. Ismat Marzida Eti, Mr. Abu Sufian, Mr. Samsul Islam, Mr. Mizanur Rahman and AKM Azad were present in the meeting. Ms. Nasim Banu, Muhammed Ali Shahin and Mr. Omar Shahed Hiru presented about tobacco related harms, role of media personals to strengthen anti tobacco campaign in the meeting.